Good news about Ohio bond money and first time homebuyers. 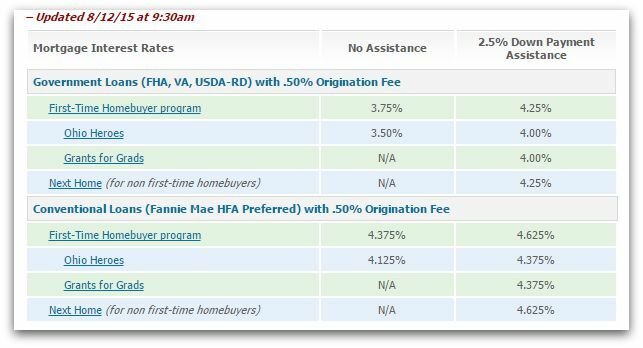 The Ohio Housing Finance Agency ( OHFA ) First Time Homebuyer Program serving the greater Cincinnati area continue to offer competitive interest rates and programs. Credit score: The credit score for borrowers using OHFA’s First-Time Homebuyer program must equal at least 640 or higher. And each county has income and purchase limits. Click on the county of your choice – Butler, Clermont, Hamilton and Warren. Make sure you are a qualified buyer and purchasing a qualified property within the acreage limitation. OHFA has helped lots of first time homebuyers and if you need to talk a OHFA qualified lender-let me know and I’ll have one contact you.